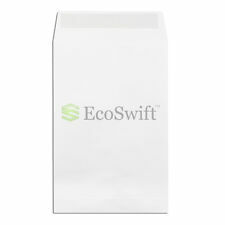 100 White Self-Seal Catalog Mailing Shipping Kraft Paper Envelope 28 lb. 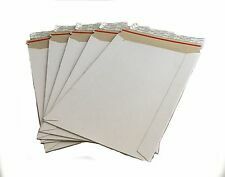 6" x 9"
50 White Self-Seal Catalog Mailing Shipping Kraft Paper Envelope 28 lb. 6" x 9"
Size and color may vary slightly. Color on computer screen may vary based on computer screen settings. Color: Hot Pink and Teal. Size and color may vary slightly. Color on computer screen may vary based on computer screen settings. Size and color may vary slightly. Color on computer screen may vary based on computer screen settings. Color: Light Pink. Color: Hot Pink, Light Pink, Blue, Purple, Teal, Yellow, Red, Orange. Type: Stay Flats. Self Sealing : Yes. Quantity : 50. Size and color may vary slightly. Color on computer screen may vary based on computer screen settings. Color: Hot Pink. 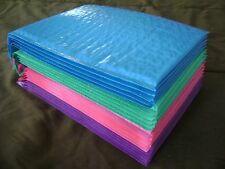 Color: 3 Each Light Pink, Teal, Hot Pink, Red, Yellow, Purple, Blue, and Orange. 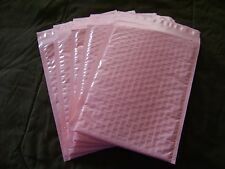 Protect your items with these protective poly bubble mailers. Perfect for shipping holiday items. Helps you save on shipping fees too. 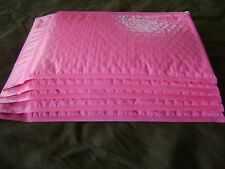 Quantity: 100 Size: 6" x 9" Inside: 6.25" x 9.25" Color: Hot Pink This lightweight, sturdy mailer is approved by USPS, FedEx, and UPS. Size and color may vary slightly. Color on computer screen may vary based on computer screen settings. Size and color may vary slightly. Color on computer screen may vary based on computer screen settings. Color: Black. 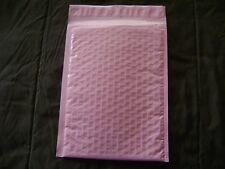 Protect your items with these protective poly bubble mailers. Perfect for precious fragile smaller items. Helps you save on shipping fees too. Quantity: 75 Size: 6" x 9" Inside: 6.25" x 9.25" Color: Orange This lightweight, sturdy mailer is approved by USPS, FedEx, and UPS. Size and color may vary slightly. Color on computer screen may vary based on computer screen settings. Size and color may vary slightly. Color on computer screen may vary based on computer screen settings. Color: Blue. You can choose one color or mix and match. Color and size may vary slightly. Color may vary based on computer settings. Quantity: 300. Light Blue. Steel Blue. Size: 6" x 9". Size and color may vary slightly. Color on computer screen may vary based on computer screen settings. Color: Teal. Type: Stay Flats. Self Sealing : Yes. Quantity : 100. Type: Stay Flats. Self Sealing : Yes. Quantity : 200. Weight : 28lb. Color : White Wove. Envelope Size : 9½" x 12⅝". Opens On : Long Side - 12⅝" Side. Closure : Side. No exceptions. 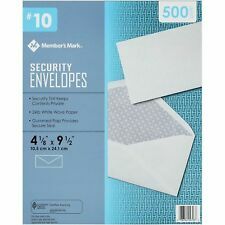 #10 security envelopes, window (4 1/8" x 9 1/2"). It can be easy and fun to find new uses for security envelopes, especially if you have children. 500 per box. Closure : Strip To Seal Adhesive Strip. 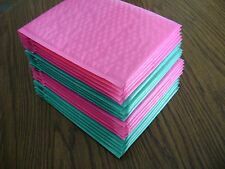 1,000 Envelopes per Box -2 Boxes -1,000 Total Envelopes. Color : White w/ Blue Security Tint. Protect your privacy when sending checks, forms or other sensitive information. Closure : Regular Gum / Adhesive. Protect your privacy when sending checks, forms or other sensitive information. The tinted pattern inside discourages reading sensitive information through the envelope. 100 FRASER BRIGHTS. ELECTRIC ORANGE. 6" X 9" BOOKLET ENVELOPE. SIDE OPENING. SIZE: 6 x 9" multi color, this item made by high quality material, 100 for each color,the yellow color bag is 2 mil and a little see through like the picture, but it is bright and beautiful. SIZE: 6 x 9" multi-color, this item made by high quality material. SIZE: 6 x 9" multi color, this item made by high quality material. Security tint. 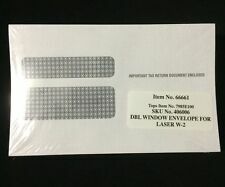 ​ #10 security envelope. white wove paper. They are great for a variety of uses and have a self-seal strip with a pull tab strip for an easy seal. Size:7" x 9" Kraft. Color: Kraft. Material Type: Kraft Paperboard. Size: 7" x 9" Kraft. Give us a shot and we will make sure that you will look to us again! Type: Stay Flats. Self Sealing : Yes. Quantity : 25. SIZE: 6 x 9" multi-color, this item made by high-quality material. QuickStrip Booklet Envelope Item No 472852. Staples 6" x 9" White Wove Side-Opening. White wove - 24 lb. SIZE: 6 x 9" multi color, this item made by high quality material, 200 for each color. SIZE: 6 x 9" red color, this item made by high quality material. SIZE: 6 x 9" multi color, this item made by high quality material, 100 for each color.